Mother Teresa officially became a saint Sunday morning during a Vatican ceremony that drew hundreds of thousands of spectators. Despite the ceremony's location halfway around the world, Mother Teresa and her example are being remembered by those she touched in the Bay Area. 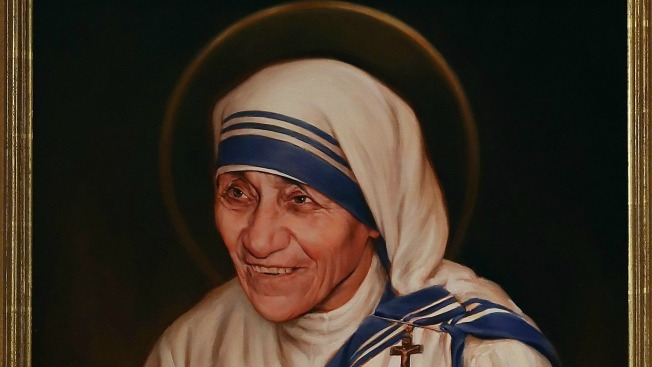 "It's amazing who she was and how she was able to show great love by doing simple things," said Jenise Dormann, a volunteer at the Missionaries of Charity house in Pacifica. That house is where Mother Teresa's sisters began an AIDS hospice center years ago and continue to reach out to those less fortunate. George Elizalde of San Jose has spent three years working as a volunteer in Pacifica and says that Mother Teresa's work inspired him to live a selfless life dedicated to serving the community. "This is a perfect place for me to extend my help to others," he said. Sister Gianna from the Missionaries of Charity house says that she is thrilled that Mother Teresa's legacy will now be etched in stone forever. "It's just inspiring for me to know that she's also going to be honored on a global level by the church," she said. "So many people have been touched by her life."